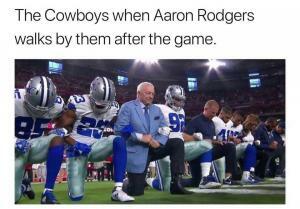 The Cowboys when Aaron Rodgers walks by them after them after the game. 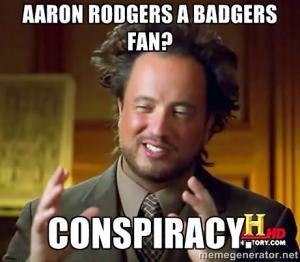 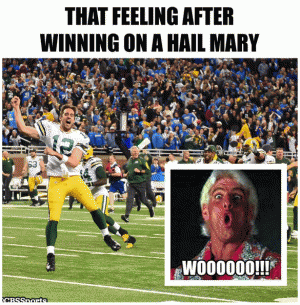 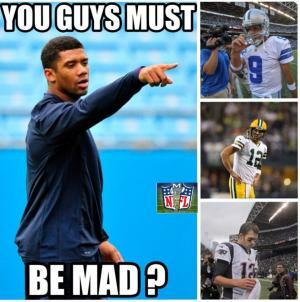 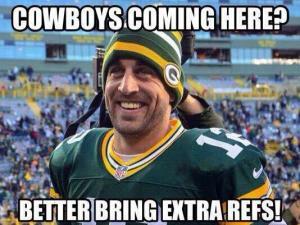 Aaron Rodgers a Badgers fan? 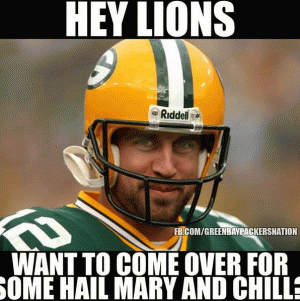 Want to come over for some hail mary and chill? 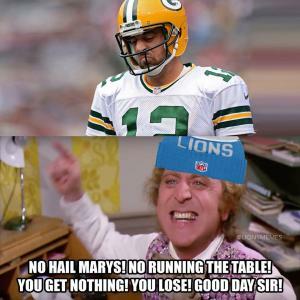 a detroit lions player is embroiled in controversy after he steps on a green bay packers player after a play. 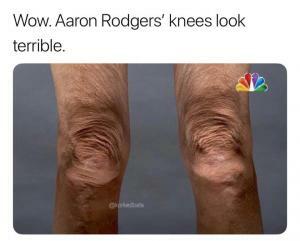 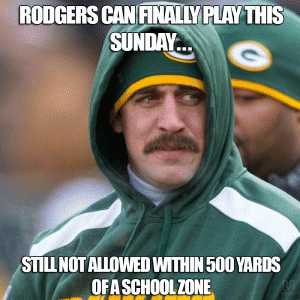 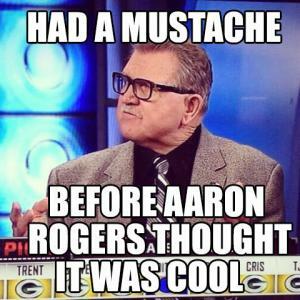 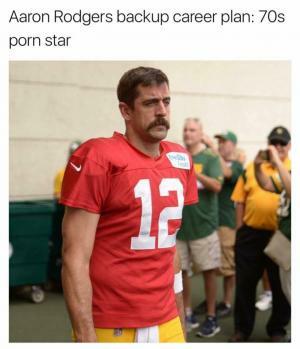 Unless you can be Aaron Rodgers... then always be Aaron Rodgers.